MarketEngine 1.1 Has Arrived With Resolution Center! MarketEngine & ZeroEngine v1.1 have come out with Resolution Center feature, allowing your buyers to send the dispute on a listing. 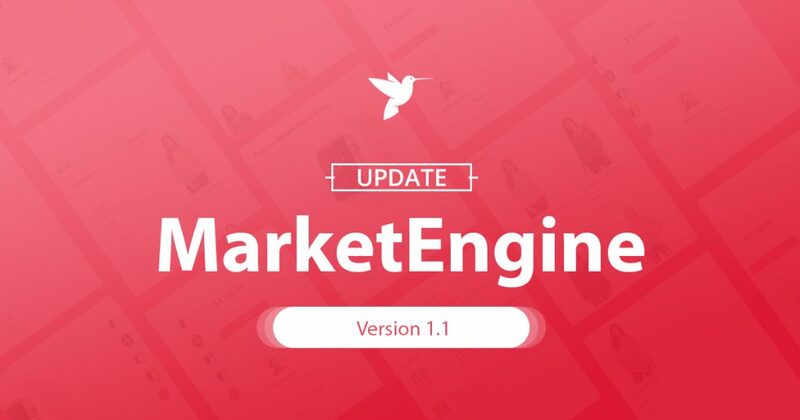 You should update your site to the latest versions of both MarketEngine plugin & ZeroEngine version 1.1 to make sure everything runs well. After your site is updated to MarketEngine & ZeroEngine version 1.1, you must update the permalinks from back-end (Settings → Permalinks) to run the Resolution Center. MarketEngine 1.0.1 Has Arrived With Custom Fields! After a few weeks of working intensively, today we’re thrilled to announce that MarketEngine plugin and ZeroEngine theme version 1.0.1 have been officially released with Custom Fields feature. Actually, custom fields are really a perfect solution for any WordPress site that needs more flexible fields. Hence, we decided to conduct this feature in MarketEngine 1.0.1, allowing you to add extra fields that are displayed in the “Post a Listing” form. It is undeniable that online marketplace is emerging as the world’s new shopping destination. The extreme convenience is the key reason explaining for the rapid boom of online marketplace platforms. We wanted to build a plugin dedicated to marketplace business model. This is important as it guides our path to developing a product that allows users to easily get marketplace up and running with the best focus on user interaction flows – easy selling, easy searching, and easy shopping. There are no shortcuts to building a multi-vendor ecommerce platform. That’s why we build MarketEngine. The hard part of technical requirements are brilliantly solved, a clean and modern design to quickly attract users’ attention and improve focus on main areas, an effective search tool to best personalize the search results for each user, and an admin dashboard to give you complete control of how the plugin should work on your site. Make your move downloading MarketEngine today to start building up a great marketplace for your niche. You have a great idea about ecommerce marketplace platform, but you don’t know how to write code and are in search of a software solution to realize your plan? You spend hours browsing yet still haven’t been able to choose any good product? If you find yourself somewhere in that situation, you’ve come to the right place. It is true that there are no shortcuts to building an online marketplace, but MarketEngine will definitely smooth the path to creating a scalable ecommerce platform. 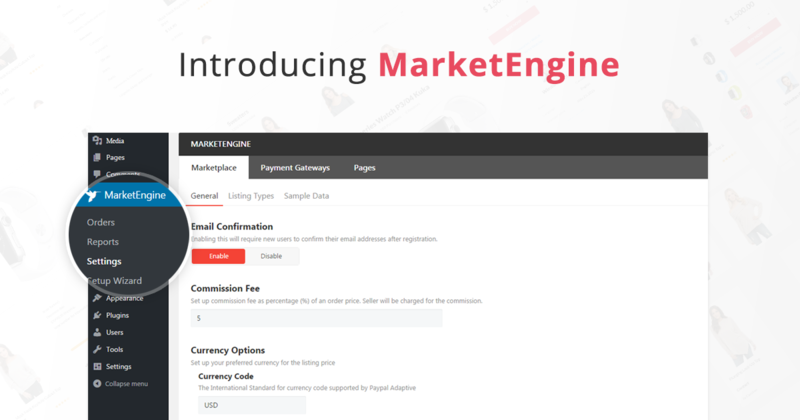 Developed by EngineThemes, MarketEngine is a Free WordPress Marketplace Plugin which aims to help businesses build their multi vendor marketplace platform for any niche. With MarketEngine, the ambition of creating a successful ecommerce marketplace like Fiverr, Etsy, or AirBnB is totally possible.